THREE new world-leading BreedObject $Indexes have been launched by the Australian Wagyu Association, providing a significant step forward for Wagyu breeders in achieving faster rates of genetic gain and selection for profitability. Following implementation of Single-step Wagyu BreedPlan in April, the AWA has worked with Armidale’s Animal Genetics & Breeding Unit to develop and deliver the new Wagyu BreedObject $Indexes. The three profitability $Indexes are designed to optimise profit outcomes from commercial self-replacing, fullblood terminal and F1 terminal production systems. Australian Wagyu Association chief executive Dr Matt McDonagh said that although the current Terminal Carcase Index (TCI) had been well-adopted by industry, it was not a true profitability $Index, as it did not take into account all sources of income and cost in Wagyu value chains (both on- and off-farm, or alternatively cow-calf and feeder phases). “The TCI is a tool that uses the carcase weight and Marbling Score EBVs to describe the genetic merit of the carcass value of an animal’s progeny,” he said. The AWA has previously informed members that the TCI is not intended for use in breeding replacement females, because it does not consider traits associated with the cow such as fertility and that the TCI would be replaced with the implementation of BreedObject $Indexes. Dr McDonagh said each of the new $Indexes was targeted specifically to a defined production and market scenario, and that members should identify and use the index that best suited their purpose. With the implementation of BreedObject $Indexes, the AWA will publish the TCI alongside the new Indexes for a month, to allow breeders to transition to using the three new BreedObject $Indexes. 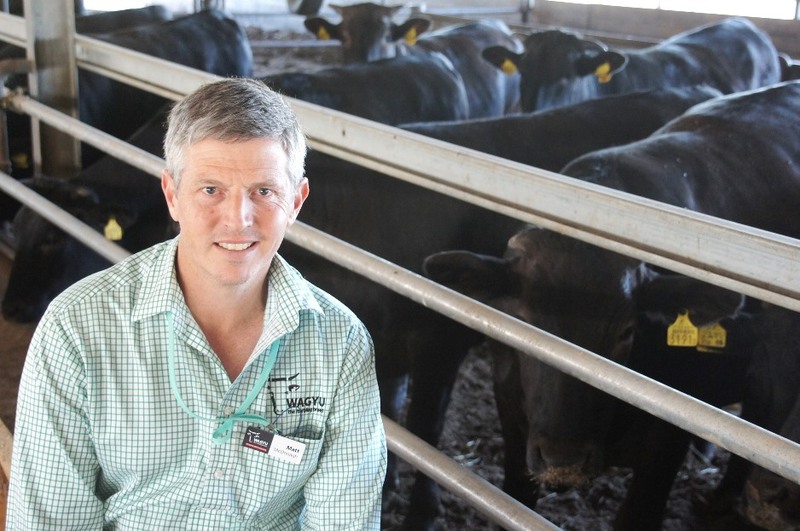 Dr Brad Walmsley from the Animal Genetics and Breeding Unit said the $Indexes that the Wagyu industry was implementing were the first publicly-available indexes of their kind within Australia and the world. “Wagyu are at the cutting edge of genetic evaluation, having implemented Single-step BreedPlan that uses genomic information, and now being the first breed association to implement the new generation of BreedObject $Indexes,” Dr Walmsley said. What are the profitability Indexes? A profitability $Index allows comparison of animals within an index based on the estimated profitability of their progeny within the commercial supply chain. New BreedObject $Indexes for Australian Wagyu producers will be published from the first week of October, 2018. SRI – Wagyu Self-replacing Breeding Index: ranks animals based on profitability for a Fullblood or Purebred self-replacing herd that retains heifers for breeding females and all steers and surplus females are finished through a feedlot. FTI – Wagyu Fullblood Terminal $Index: ranks animals based on profitability for a commercial Fullblood or Purebred herd in which all progeny are finished through a feedlot. F1 Index – Wagyu F1 Terminal $Index: ranks animals based on profitability for an F1 production system where all progeny are finished through a feedlot.